Sometimes one night can change everything. On this particular night, Wren and her three best friends are attending a black-tie party at the Metropolitan Museum of Art to celebrate the opening of a major exhibit curated by her father. An enormous wind blasts through the city, making everyone feel that something unexpected and perhaps wonderful will happen. And for Wren, that something wonderful is Nolan. With his root-beer-brown Michelangelo eyes, Nolan changes the way Wren's heart beats. In Isabel Gillies's Starry Night, suddenly everything is different. Nothing makes sense except for this boy. What happens to your life when everything changes, even your heart? How much do you give up? How much do you keep? 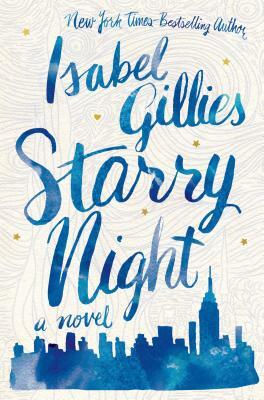 Starry Night by Isabel Gillies is a tender, romantic young adult novel about first love. Isabel Gillies, known for her television role as Detective Stabler’s wife on Law & Order: Special Victims Unit, has published two memoirs, Happens Every Day (a New York Times bestseller) and A Year and Six Seconds (both Scribner). She graduated from New York University with a BFA in film. Isabel lives in Manhattan with her family.